ON1 will ship Photo 10 at the end of October 2015. I'm one of the folks that has been asked for early release reviews and information sharing so this is the first of a series of posts on what you can expect. The first obvious change is the name, going from ON1 Perfect Photo Suite to ON1 Photo. 10 indicates the tenth release of this continuously evolving platform. I'm looking at a prerelease build that is 99% feature complete so you'll have a good sense of what's happening in the new release. ON1 Photo 10 can be launched as a standalone, or as a plugin to Lightroom, Photoshop, Elements and Aperture. I'm going to work from the standalone mode because that's when I see the most functionality. When you launch ON1 Photo 10, you launch into Browse, known in the past as Perfect Browse. The idea here is a very fast photo browser that follows your directory / folder structure on any drive, local or network. It is quick and once the preliminary file scan is done, the rendering is near immediate. You'll either see a photo with a folder overlaid to indicate a folder of images, or an image itself including ranking metadata if any was entered as thumbnails. You can scaled the thumbnail size to suit your own needs. Clicking on an image brings it to size in the window and you'll see full metadata including EXIF on the right side of the image. On the left is folder navigation so it's very easy to jump from location to location. Important to note is the direct integration of cloud storage offerings. 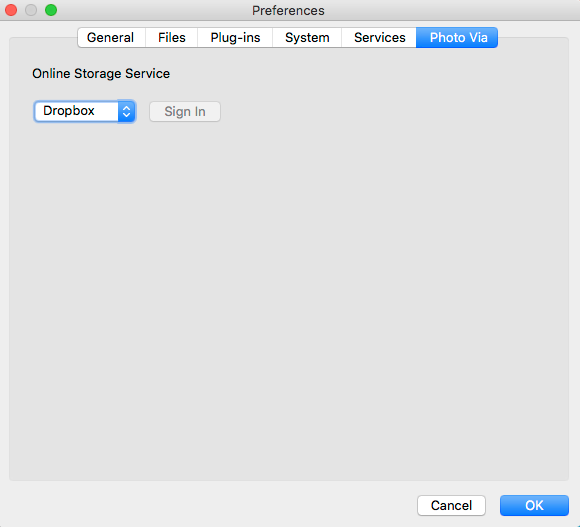 In the example you see Dropbox, Google Drive and Microsoft OneDrive. In this release I don't see iCloud Drive although I have it, perhaps that's still coming. Below the drive / folder selectors is a section to create Albums. Albums are akin to Lightroom Collections. They can be static, meaning that you populate them as you see fit, or SMART meaning you create a rule set and the rule set populates the album automatically based on your selected Favourites folders. If this sounds a lot like a combination of Bridge and Lightroom's Catalog scenario, it really is. Many Lightroom users complain about rendering performance because of how Lightroom deals with previews. Others dislike Bridge because it is really designed as a file browser, not an asset search tool. Browse works to be the best of both worlds. If you enter ON1 Photo 10 from Lightroom, Browse is not the default entry point. This is good because it gives the user freedom of choice in how to handle image storage, and cataloguing. 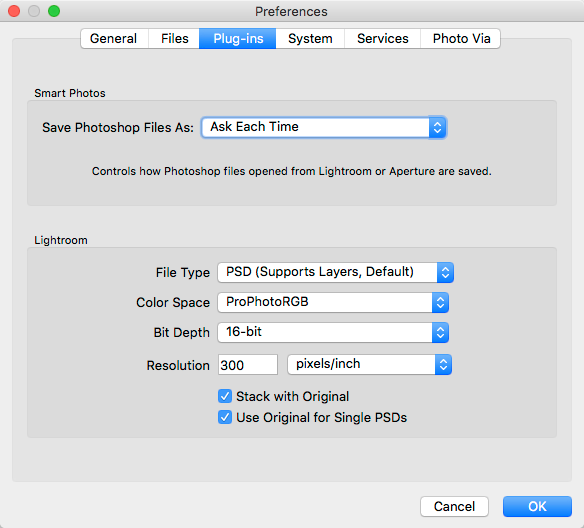 You aren't even forced to use Lightroom's Library module, you can send images right from Browse to Lightroom, Photoshop, Aperture or another application of your choice, perhaps another standalone editor. Very flexible. Below the Albums function is a viewer filter section. You can use all the Lightroom style metadata filters to control which images get displayed, including picks, star ratings and colour labels. Very convenient if you have years of work with this type of information applied to it. You can also set time filters if you are looking for a specific period. It's very easy to use and as noted very fast. You can also set these metadata options for an image or selection by using the same keystrokes and mouse actions that you already know. This will definitely appeal to those who find the Lightroom Library module slow, or Bridge not content rich enough. ON1 Photo of course is best known as an image enhancement tool. It's a very rich tool meaning that you could actually use it as your sole image editing platform without Lightroom or Photoshop so by right clicking on an image you can jump straight to one of the four ON1 edit modules; Effects, Enhance, Layers or Portrait. As you would expect, you can also move around between modules from any module. 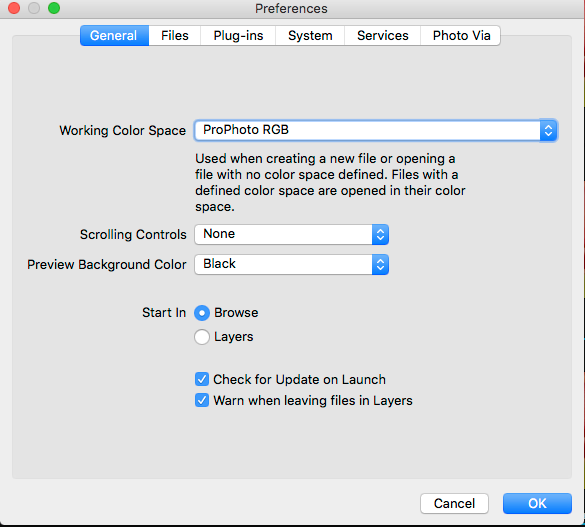 If you use ON1 Photo as a plugin from Lightroom or Photoshop's Filter menu, it works exactly as you would expect, opening the image in the module and when done returning the updated image to the calling application. Round tripping is nothing new to users of plugins and there are no bad surprises with ON1 Photo 10. Please note that both Perfect B&W and Perfect Resize have been consolidated into other modules. Perfect Resize no longer exists as a standalone module, but is still available in the Export function. 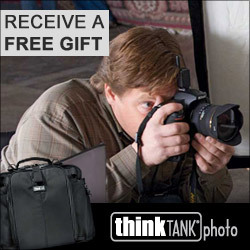 Here you can select the size of the final image and choose from a selection of Resize options. The interface is not as rich as it used to be, but will likely be simpler for new users. Heavy Perfect Resize users may be a bit discouraged by the UI change, I know that I am, but I used Perfect Resize a lot in my commercial work and got very used to its capability. One of the things I do like about the new offering is the consolidation and simplicity of Preferences. Make the settings once and they apply to all the modules. This is more convenient than having to make the choice each time you invoked a module. I also like that I can set the default round trip file type for Lightroom right here and not have to navigate Lightroom's external editor manager that defaults to smallest size meaning poorest quality. At first look, ON1 Photo 10 Browse looks very comprehensive and for those users who are seeking an alternative to the Lightroom Library module or Adobe Bridge, this could definitely be a winning option. In future posts, I will take a look at each of the other modules individually.